As the owner of Harcourts Ascot, Kate Peereboom brings with her an accomplished career in real estate in both sales and property management. Regarded as an astute leader in the industry, Kate builds on her knowledge acquired within the industry but also upon the skills she developed in the corporate finance and retailing industries. Overseeing all elements of the business, Kate has established a culture of; efficiency, growth and benevolence at Harcourts Ascot. With a focus on positive outcomes, each of the team approaches their dealings with energy and professionalism. Maintaining an active interest in the local property market, Kate’s enviable network allows her to keep a high level of awareness on market activity and demand. Understanding the importance of each property matter for all parties, Kate is renowned as a skilled negotiator and maintains an open and constant communication channel with her clients. With a strong connection to the local area, Kate has established Harcourts Ascot as a business that has been defined by its results. With a growing marketshare in both the sales arena and property management, both parts of the business deliver a service that is paramount and engenders repeat business. Every day is a new learning curve as we meet more wonderful people. Forty years of real estate industry experience enables Kay to ease the stress for her Sellers and Buyers who are making one of the most important and expensive decisions they will ever have to make. In the world of Real Estate, one must have the ability to put a property to a face and a face to a property. One must have an affinity with one’s Sellers & Buyers and have a definitive knowledge of the product, market place and current trends. Kay is always aiming to make the Sellers’ home become somebody else’s dream with her enthusiasm, personal service and strong negotiation skills. Information mixed with experience is a thriving seed for growth. Colleagues and clients alike always comment on Loretta’s strong attention to detail and a commitment to see tasks through to completion. It’s a strong work ethic that has been over two decades of experience in corporate and brokerage real estate. One aspect that is central to Loretta’s work ethos is that a client deserves the best care and service in order to complete a positive experience. Possessing all the skills required to fulfil the administrative side of real estate, Loretta is also familiar with the importance of time-frames and maintaining clear communication with vendors and buyers. With extensive experience in the development of effective marketing and auction strategies for homes in Ascot and surrounding areas, Loretta works to ensure that all elements of the campaign come together to maximise impact. Standing out from others in similar positions, Loretta adopts a hands-on approach in her role and you will find her working closely to get the best results for her clients. 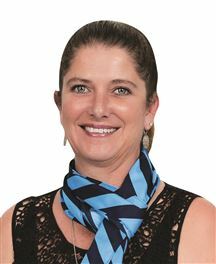 As part of the award winning team at Harcourts Ascot led by Kate Peereboom, Loretta keeps at the forefront of her industry by keeping a professional development plan in place and a constant analysis of the local market. Karen plays an important role in our team and brings a keen eye for detail as well as fantastic organisational skills. With a wealth of knowledge and extensive administration experience, Karen assists the Experience team to provide exceptional service to their clients during each transaction. Under offer - Multiple offers!